For the last couple of years, I've been on a minimalist kick. I purged almost 75% of my belongings and kept only the essentials. Everything was simplified - patterns were sparingly used, surfaces were kept uncluttered, textures were flat and wall colors were neutral. Furniture had clean, mid century modern lines. It was soothing and serene with lots of negative space. Now, I find myself craving more "stuff." I'm hungering for ornate, complex patterns, I'm starving for rich colors and I'm jonseing for texture. I want an opulent, layered look with lots of frilly, gold filigree and Persian rugs. I want to cram my bookshelves with leather bound books and Greek inspired nick nacks. I want to fill my house with time tested antiques. I want to live in a Maximalist house. 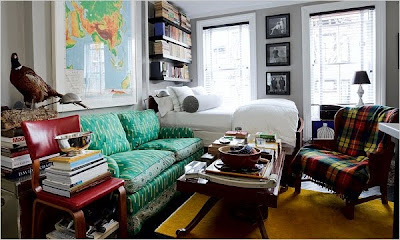 I'm seeing more of this Maximalist look in blogs and magazines. 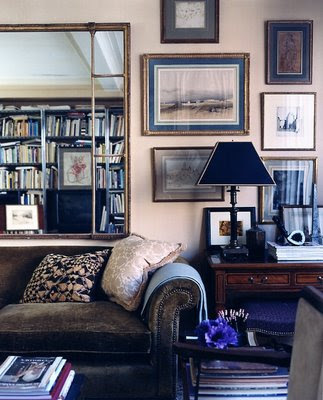 What has previously been dismissed as "clutter" is now carefully curated to create warmth and comfort. The most successful Maximalist rooms are grounded in a classic, traditional style. Colors tend to be richer and more masculine. Often, there is a preppy menswear influence. 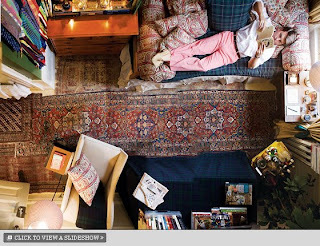 Zach Motl proves that more stuff can make a room look bigger in 178 sq feet. Nick Olson's famous oregano walls. 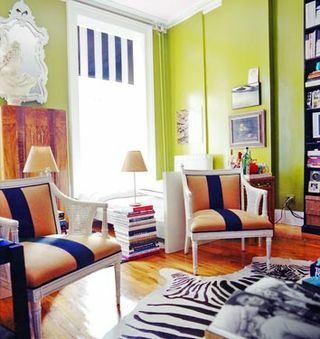 Miles Redd, the King of Maximalists.